There were many important sports meetings in Scotland without which the sport would never have developed or progressed as it did. One of these, possibly the most important to begin with, was that held by Queen’s Park FC. There was a wider contribution made by football clubs to the sport and all the major clubs had their own sports day – Rangers, Celtic, St Mirren, Clyde, Heart of Midlothian, Falkirk and many others had annual sports, but QPFC was the first of these two and to some extent set the tone. Athletics coaches work backwards ( set the target then decide how to get there!) and we are following that precept here. The 30’s first and then back to the 20’s and so on. The last of these meetings I could find was that of 1937 so we stop there – for now! 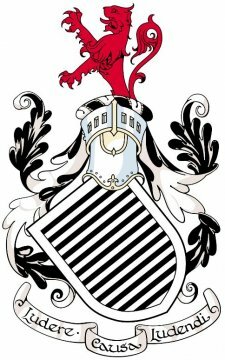 Queen’s Park FC was a wonderful sports club – always a football club, it promoted other sports such as rugby intermittently and athletics consistently for decades. Like all the early football clubs, it had many very good athletes whom it encouraged to compete during the lengthy close season. Our purpose on this page is to look at the athletics in the 1930’s and then work backwards through the decades. The last meeting I could find was for 1937 but 1938 and 39 might yet turn up! The meeting almost always took place on the first Saturday in June and was part of the athletes’ progress towards the SAAA Championships always held at the end of the month. It was an integral part of their plans. 100 yards: 1. AD Turner (Maryhill Harriers 4 yards); 2. RM Rintoul (Shettleston Harriers 7.5); 3. FW Brown (West of Scotland Harriers 2). Winning Time: 10.0. Won by a yard. 220 yards: 1. W McRoberts (Maryhill 18 yards); 2. W McLaughlin (Springburn Harriers 5); 3. 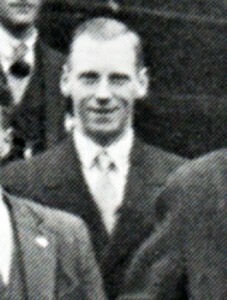 JJ Cameron (Glasgow Police AC 14). 22.6. Won by inches. 880 yards: 1. JR Donaldson (Edinburgh Northern 40 yards); 2. J Mackell (Springburn 38); 3. I Hamilton (Canon ASC 53). 1:58.0 Won by inches. One Mile: 1. SK Tombe (Plebeian Harriers 70 yards); 2. ME Anderson (Shettleston Harriers 130); 3. AC Montgomery (Springburn Harriers 123). 4:23.6. Won by 5 yards. Two Miles Team Race: 1. Maryhill Harriers (D McLean 1, WH Calderwood 3, T Blakely 7); 2. Plebeian Harriers (WJ Gunn 2, PJ Connolly 10, A Ingram 13). e 9:39.6. Won by 5 yards. Road Race: 1. D Wright (Maryhill Harriers) 1:15:13; 2. D Robertson (Maryhill) 1:17:40; 3. J Winnie (Hamilton Harriers) 1:19:03. There was also a 120 yards hurdles race, an inter-city relay, a high jump, an obstacle race and a 100 yards for Youths, as well as the almost obligatory 5-a-side football tournament which was won by Partick Thistle who faced Celtic FC in the Final. Walter J Gunn, Plebeian Harriers. On a year and the traditional ‘first Saturday in June’ date was taken over as the climax of the Glasgow Civic Week celebrations with a big sports being held at Ibrox Park. Queen’s brought their fixture forward a week and it took place on 30th May, 1931, at Hampden. The big race was the Two Miles Team and Individual Race in which the rivalry between Maryhill Harriers and Plebeian Harriers always produced a good hard race and close finishes all down the field. It was the third such contest in eight days between the teams. The attendance was estimated at 4000 on a dry but dull afternoon. At Hampden Park on Saturday, despite the heavy rain on Friday, the track was in excellent condition, a fact that is clearly shown by the times recorded in the 100 yards, half mile and both mile events. Even time in the sprint, 1:58 in the half mile, and 4:21.2 and 4:22.2 in the two mile races indicates the task faced by the backmarkers had they been out. The keen rivalry that exists at the moment between the evenly matched teams of the Maryhill and Plebeian clubs is tending to elevate the two miles scratch races for harrier clubs into the chief events of each programme on which they appear. At the Monkland Harriers meeting last Saturday, at Firhill Park on Monday, and again at Hampden Park on Saturday the racing in this event transcended everything else on the programme. This was due as much to the personal duel between WJ Gunn of Plebeian Harriers on the one hand, and WH Calderwood and Donald McLean on the other, as to the struggle for supremacy between the clubs. In all three races run between the clubs during the past ten days, Gunn has had the measure of the ex-Scottish champions, and as each of the three has been run through in different fashion, the Plebeian Harrier can claim that, both in the matter of tactics and of pace, he is the best man in the district at the moment over the distance. His victories at Coatbridge and Firhill were of the narrowest, but on Saturday he defeated Calderwood by a good five yards, and at the finish was travelling as fast as at the beginning, a tribute to his stamina as his opponent carries as powerful a finish as any of our distance runners. Gunn’s time, 9:38.8, is the best he has done in public so far. Under something of a cloud last season owing to a physical handicap, he is improving with every appearance. The result of the team race was close, Maryhill winning by 11 points to 13 and they now have two victories to one over their rivals. “The first of these (records) fell to T Riddell, the Scottish mile champion, who crossed from Belfast to run at the meeting. Running from scratch in the three-quarter mile handicap, he covered the distance in 3 min 6 1-5th sec, this being 3 4-5th sec faster than the previous record made by himself at the evening meeting of Shettleston and the West of Scotland Harriers on the same track three seasons ago. Riddell ran a magnificent race,caught his men a furlong from home and went on to win by 15 yards. He finished so fresh that the impression was left that had he been pushed in the last quarter his time would have been even better. He returned 59 sec in the first quarter, 63 in the second and 64 1-5th in the final lap. Riddell’s races have been comparatively few on the Scottish track during the past three seasons, but on each occasion he has demonstrated the loss sustained by Scottish athletics when he took up permanent residence in Ireland. “The three Mile scratch race was in some respects the best event of the afternoon, as it provided the man-to-man duel that is always acceptable to the people on the terracing. 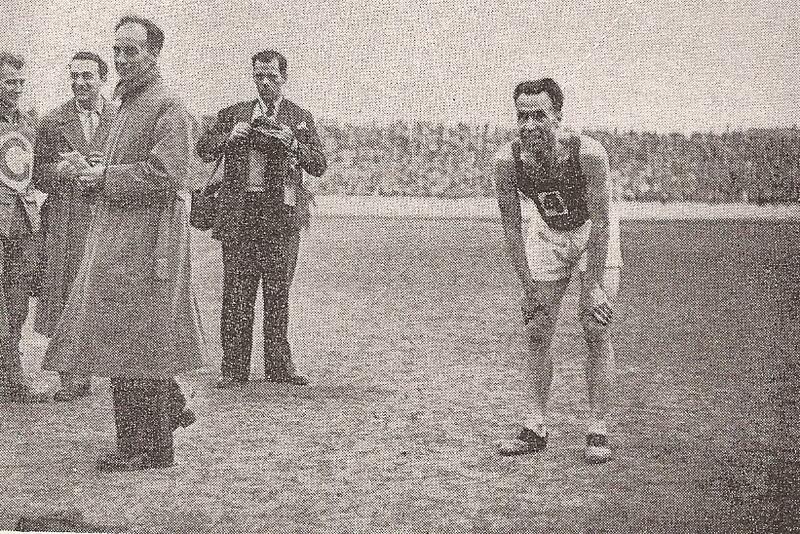 J Suttie Smith and JF Wood were the central figures and it was the rivalry between the pair that enabled Smith to slice 3 sec off the 14 min 44 1-5th sec recorded by Wood when running against Paavo Nurmi at the Rangers meeting last August. During the past two seasons Smith has been somewhat overshadowed but on this occasion he was at his very best, running with an easiness and a poise and a confidence that was impressive. WH Calderwood was second in the three quarter mile and Maryhill won the three miles team race although their first man home was Tom Blakely in sixth position. Good racing was again a feature of the programme – Rab Forman won both 100 yards and hurdles races and Bobby Graham again took the Mile. The 1933 meeting was held on 27th May and this time Blakely was no bit player, Riddell was beaten and Plebeian Harriers won the three miles team race. The conditions which prevailed at Hampden Park, Glasgow, on Saturday afternoon during the whole course of one of the most successful sports meetings ever held by Queen’s Park Football Club were conducive to good performances. The track was fast, there was little or no wind and the temperature was of a level that brings the best out of a runner. The somewhat moderate crowd that graced the terracing was not disappointed, for in almost every race the times ruled fast and one new Scottish record was created. This was by Tom Blakely in the Three Miles which he covered in 14 min 33 sec, 5 1-5th sec faster than his own time set up at Celtic Park a year ago. This was his second record of the week, as he had set up fresh figures of 9 min 19 4-5th sec for the Two Miles. These two performances within six days of each other stamp the Scottish Champion as a really good runner. Saturday’s time was only 5 4-5th sec outside Alfred Shrubb’s all-comers record for the distance. Blakely is a stylist and gets his effects with such apparent ease that the future holds distinct possibilities of more records. His chief drawback so far has been a modesty that bred a distrust in his own abilities. These two performances should have improved his confidence. He took the lead at the end of the first mile and remained there until the end. The first mile was covered in 4 min 45 sec and the second in 9 min 42 sec. JC Flockhart was second, 100 yards behind. There was a keen struggle between Plebeian and Maryhill Harriers for the team honours LKed by Max Rayne, the former packed well and finished in fourth, fifth and seventh places to gain victory from their rivals by a single point. The first appearance upon a Scottish track this season of TM Riddell, the Mile champion, was awaited with interest. Riddell, as usual served up a good race in the 1000 yards special event but was eclipsed on the afternoon by JP Laidlaw who, running from 10 yards, not only won the race with comfort, but actually returned better time over the distance than did the champion. The Edinburgh man has won three races within eight days, and all three over different distances. Last Saturday he secured first place at the Monkland Harriers over Two Miles, on Monday he won Maryhill Harriers’ half-mile, and then on Saturday he again broke the tape. He has thus amply realised the promise of last season, and in addition to pace, he possesses a high sense of track tactics. He was content to let Riddell do the forcing work in Saturday’s race, but never allowed himself to be far away. When the champion went to the front in the back straight Laidlaw was only a couple of yards behind, and when he made his effort 100 yards from the tape, Riddell could not hold him and was beaten by a good five yards. The above extract from the ‘Glasgow Herald’ report on the meeting covers the top two races on the programme but the excitement did not stop there. Maryhill Harriers won the half-mile Relay from Glasgow University by four yards and the Inter-City Relay went to went to Glasgow where WH Calderwood faced Laidlaw on the opening half-mile stage where Laidlaw despite the earlier race against Riddell, won by five yards. There was a fairly full programme of Open and Invitation events with no disappointing events among them. The quality is all over the meeting – Laidlaw, Riddell, Flockhart, Blakely, Gunn and others in the distance races with Robin Murdoch, AD Turner and PW Brown in the sprints. The 1935 sports were held on 1st June, in fine weather and before an estimated attendance of 5000, and Laidlaw and Riddell were again involved in the afternoon’s events. 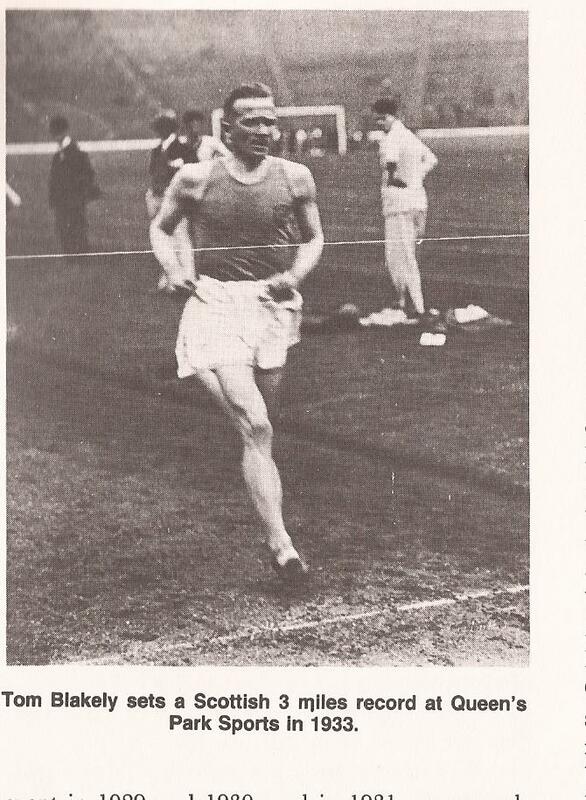 The ‘Glasgow Herald’ reporter went as far as to say that “the class of competitor was the best that Scotland can produce.’ Riddell ran in the special (read ‘invitation’) mile where he ran 4:18.4 which was regarded as a good time for the windy conditions. Behind at the bell, he moved ahead in the back straight and won by eight yards. Ten years earlier he had had a hard race against Donald McLean but this time McLean was well back and did not feature at the finish. Laidlaw won the three miles, defeating W Sutherland and was said to be concentrating on that distance for the Scottish championships. Withe seven open events, seven invitation events plus the inevitable five-a-sides it was an interesting programme. Results of the invitation events are noted. 440 yards (Eric Liddell Trophy): 1. C France (Bellahouston Harriers 10 yards); 2. CF Campbell (Springburn Harriers 15); 50.6 sec. Won by 4 yards. One Mile: 1. T Riddell (Shettleston scr); TM Armstrong (Garscube 85 yards). 4:18.4. Won by 8 yards. Half Mile Relay (Women): 1. Edinburgh University; 2. Glasgow University. 1:53.8. Won easily. Three Mile Team Race: 1. Shettleston Harriers (W Sutherland 2, JC Flockhart 3, JC Ross 11); 2. Edinburgh Northern Harriers (JP Laidlaw 1, W Hinde 7, U Stewart 10). Individual Places: 1. JP Laidlaw; 2. W Sutherland; 3. JC Ross. 14:59.4. Won by 5 yards. Inter-City Mile Relay Race: 1. Edinburgh (W Botha, Edinburgh University; T Littlejohn, Edinburgh Harriers; AG Clark, Stewart’s College; RR Wylde, Edinburgh University); 2. Glasgow (R Graham, Maryhill Harriers; AD Turner, Maryhill Harriers; B Murdoch, Atalanta; WM Murray, Glasgow University). 3:35.4. Won by 2 yards. The inclusion of the women’s relay is also of interest – the Scottish Women’s athletic scene had really started to take off at the start of the 1930’s with clubs such as Dundee Hawkhill Harriers, Clydesdale Harriers, Shettleston Harriers and Maryhill Harriers all producing strong teams. Queen’s Park mght not have had the big budgets of Rangers and Celtic but their old established sports were still giving the paying public what they wanted: quality sport with talented competitors. 6th June, 1936, saw a change in the entries for the meeting. There were several athletes from south of the border present to add an extra challenge to the domestic competitors. No Riddell, no Laidlaw but another great day of sport for the spectators. Queen’s Park Football Club Annual Sports at Hampden Park on Saturday were for the first time favoured with the presence of outstanding English athletes, but only 3500 people turned out to watch the sport. The weather was dry, but not by any means suitable for good times, yet W Roberts (Salford) and AW Sweeney (Milocarians) acquitted themselves with distinction. The sprinters were helped along with a strong following wind, and though the distance men had little assistance from it down the back stretch they found themselves with head winds of unusual velocity up the home straight. One of the best performances of an extremely attractive programme was the quarter mile victory of W Roberts in the Eric Liddell Trophy race. Pulled out by eight of our best runners, the Englishman set out about his task in business-like fashion. He was forced to run wide at the last two bends into the finishing straight. and despite a determined challenge by young CF Campbell, Springburn Harriers, who was set on 20 yards, Roberts held on to win with a yard and a half in hand in the fine time of 49 3-10th sec. 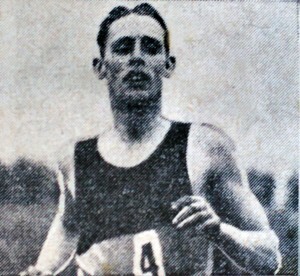 Charlie France who was expected to give Roberts a warm challenge did not finish, owing to his having run a splendid ‘quarter’ for Glasgow in the inter-city relay race. AW Sweeney, the English 100 yards and Empire sprint champion, ran in the heat and semi-final of the open 100 yards besides appearing in the 120 yards. Throughout he showed how superior he was to all on view. He won his 100 heat from scratch in 9 8-10th sec, but went out in the semi-final. The sprint, by the way, fell to JE Creegan, Uddingston, who conquered Sweeney in the cross tie and won the final in 9 6-10th sec from his mark of 6 yards – probably the fastest sprint ever run at Hampden. Sweeney qualified easing up in the second heat of the 120 yards in 11 6-10th sec, equalling RE Walker’s South Africa all-comer’s record of 27 years ago. He just failed to hold RTE Littlejohn, Edinburgh Harriers, from four yards, in a tremendous finishing burst, also in the same time as his heat. Robert Graham, Maryhill Harriers, turned out in the special one mile handicap and disappointed by only reaching fourth place, finishing about 30 yards behind the winner, G Andrews, Plebeian, in 4 min 27 4-10th sec. Of course a strong breeze militated against fast times in this race. In the inter-city one mile race, Glasgow beat Edinburgh by six yards in the slow time of 3 min 46 2-10th sec. It was quite a detailed report of a meeting that had six invitation events and eight open events plus two cycle races and a five-a-side tournament with all six Glasgow clubs (Queen’s Park, Rangers, Celtic, Third Lanark, Clyde and Partick Thistle) competing. 1937 was the first time that John Emmet Farrell appeared on the programme at Hampden – he ran in the Three Miles individual and team race where he finished second behind Laidlaw and led the Maryhill squad to victory. No English runners this time, but there were lots of close finishes. The following race descriptions are from the ‘Glasgow Herald’ of 7th June, 1937. “The three miles was a keen race and the lead fluctuated many times. First, JC Flockhart, the international cross-country champion, set the pace, and others took their turn leading the field, but the actual winner JP Laidlaw (Edinburgh Northern Harriers) waited until 60 yards from the tape and challenged JE Farrell (Maryhill Harriers). Runing on strongly, Laidlaw won with five yards to spare. He held the three miles championship two years ago but sustained a serious injury last season and could not defend his title which was won by Jack Gifford (Bellahouston Harriers) . Gifford never showed any signs of winning Saturday’s race and was a poor fourth although he will undoubtedly do better on championship day. Result: 1. J Laidlaw; 2. JE Farrell; 3. WG Black (Plebeian Harriers). Winning Time: 14:56 2-10th. Team Race: 1. Maryhill 17 pts; 2. Plebeian 17 pts. One Mile Inter-City Relay. Exceptionally fine form was shown by the competitors in the one mile invitation inter-city relay race between Glasgow and Edinburgh. 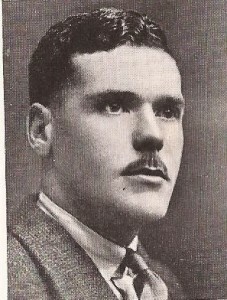 Murdoch’s injury weakened the Glasgow team, and W Millar of Ayr, who also has a connection with Maryhill Harriers, had to take his place. Over the first part of the race, a half mile, Robert Graham, the Scottish mile champion and record holder, ran for Glasgow and his opponent, in the absence of JC Stothart, who was present but not fit enough to run, was Olaf Hoel, an upstanding Norwegian who is attached to Field Events Club. Hoel accepted the task of pace-making and made the speed comparatively slow, while Graham allowed him to keep in front until the last bend. It was there that Graham made his effort, but although he drew away momentarily, Hoel challenged powerfully, and the pair enjoyed a thrilling neck-and-neckl struggle up the back straight. Whatever small advantage the Glasgow runner had was destroyed when JD MacKenzie took the lead against W Millar at the change-over. MacKenzie ran out strongly, and passed the baton to J Wilkie five yards ahead. 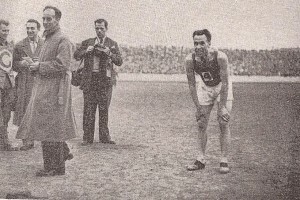 DM Pearson, the Scottish champion, ran for Glasgow over the next furlong, but he made no impression on the Eastern man and WMO Rennie, the noted Glasgow University quarter mile champion, was fully five yards behind HG Giles when he started over the last lap. Rennie now challenged his rival, however, and although Giles tried to match his pace in the straight, Rennie wore him down easily to win by six yards. The winning time was 3 min 39 1-10th sec. There were only four invitation events in 1937 including a 4 x 110 women’s relay which was won by Bellahouston Harriers from Edinburgh University in 53 6-10th sec. The Eric Liddell Trophy was won by JC Carson (Springburn Harriers) in 49 8-10th seconds. He was off a mark of 22 yards.